Motivational quote sticker. 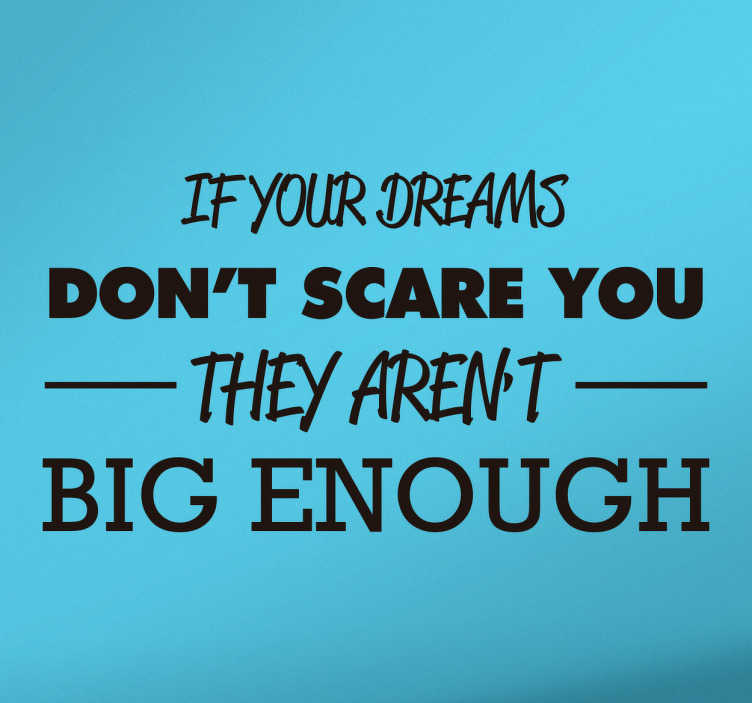 "If your dreams don't scare you, they aren't big enough!" This motivational sticker will keep you working hard to reach your goals and to achieve your dream. This sticker can be applied to any flat surface such as walls, windows, appliances, gadgets, etc. The wall decoration is available in various sizes and colours so be sure to personalise the sticker to your taste.